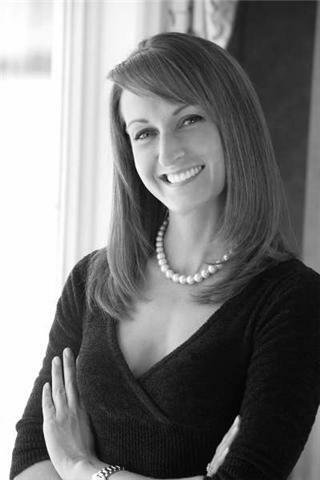 Meet Kimberly Hill, Peter Salerno’s Lead Designer for 2014’s NKBA Best Small Kitchen – Design Your Lifestyle. February 2014 February 2014 Peter Salerno, Inc.
Interview: Kimberly Hill of Peter Salerno Inc.
Meet Kimberly Hill, lead designer at Peter Salerno Inc. Besides Peter Salerno himself, the hardest person in the Peter Salerno Inc. offices to pin down for an interview may just be Kimberly Hill. Kimberly is Peter’s lead designer, certified kitchen and bath designer, and quite possibly the busiest person we’ve attempted to interview in some time! But it was important to us to talk to Kimberly Hill to close out February 2014. Kimberly was intensely involved in the creation of the “Jewel Box” kitchen, recipient of some of the most prestigious interior design and kitchen design awards of 2014 – including 2014 NKBA Best Small Kitchen and 2014 HGTV People’s Choice Kitchen. In talking with Kimberly, we discovered a woman who’s passionate about her craft, finds joy in satisfying customers, and welcomes the challenge of “making the pieces of the interior design puzzle fit”. It’s always fascinating to speak with someone who truly loves what she does, and allows her work to transcend into art. Peter Salerno has nothing but high praise for Kimberly, and we left the interview feeling the same way about her friendly demeanor and tenacious work ethic. Let’s find out more about Kimberly Hill! Interview: Kimberly Hill, Lead Designer, Peter Salerno Inc.
Peter Salerno Blog (PSB): You’re certainly a tough person to pin down for an interview! Kimberly Hill (KH): It’s been a busier season than usual – but there’s no problems with that! We’re working on a lot of big, full home projects, each with multiple room updates. We’re usually not this busy in the winter, so it’s great! PSB: What is your role and title at Peter Salerno Inc.? PSB: What was your role in the creation of the NKBA & HGTV award-winning “Jewel Box” kitchen? KH: In all the jobs we work on, Peter is of course the lead. He goes to the clients and has the main interaction with them, discovering their goals, wants and needs. My involvement would be behind the scenes, laying out the space, and doing the drawings for him. And I really enjoy that. PSB: Were there any unique challenges that the “Jewel Box” kitchen presented? KH: I would say the challenge for that [“Jewel Box”] kitchen is that it was a small space, and the client needed to fit a lot of appliances and features within it. She had a lot of requirements within her apartment space, including a table and kitchen pantry. We’re used to using tons of space, but we made it work! PSB: What did you enjoy most about working on the “Jewel Box” kitchen? KH: Peter and I really enjoyed the client (Marcia Thornhill) and her family. I had the opportunity to meet Marcia, and she’s a complete sweetheart. It’s a pleasure to work with such a nice client. And I guess I just enjoy what I do – I love laying out floor plans! PSB: Is there anything in particular you’re most proud of about the finished kitchen? KH: I think the fact that we combined different colors, which Peter really spearheaded, was really nice. I thought the combination of color is really what sets that kitchen apart. PSB: What do you love about your job? KH: When I look at any of these floor plans, it’s like a puzzle I get to work with. I get these dimensions, floor plans, appliance sizes, and NKBA guidelines. And I enjoy the challenge of putting the puzzle together, making the math work, and making everything look beautiful. Thank you so much for the response! Kim is indeed wonderful, and such a valuable part of the Peter Salerno Inc. family. Pingback: Peter Salerno Receives 2014 NKBA Best Small Kitchen Award [PHOTO] | Peter Salerno Inc.